Invisalign is safe, easy to use, and easy to remove, with some treatments complete in as little as six months! Invisalign can save you from many of the discomforts metal braces, including mouth sores, tooth discoloration, plaque buildup, and difficulty eating. Also, no more will you be hindered from indulging in those snacks you love, like popcorn, pretzels, chips, apples, corn on the cob…just to name a few. See below for a comprehensive comparison chart of Invisalign vs. Braces so that you can make a more confident decision. Receive a Customized Treatment Plan, just for you! Reveal your new smile and keep it looking great, day or night! Will wearing Invisalign alter my speech? Common to other orthodontic treatments, Invisalign aligners may cause a temporary and slight lisp for a day or two. However, as your tongue gets used to the aligners in your mouth, this lisp should disappear. Some people may experience temporary discomfort that could be described as a feeling of pressure. 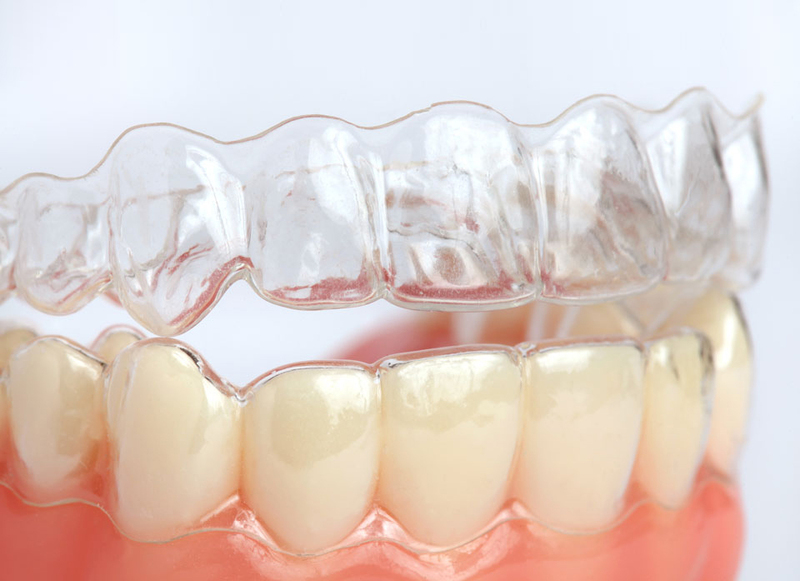 This is normal during the first few days of each new stage of treatment as the aligners work to straighten your teeth and usually goes away after a few days. No. Since aligners should be removed before eating or drinking anything, there are no limitations to what you can eat. As smoking can discolour aligners, we advise against it. We recommend you wear your aligners at all times, except when eating, brushing, or flossing. How often must I see the Invisalign dentist? Regular appointments will be scheduled to ensure that your teeth straightening plan is progressing as planned.